Girard-Perregaux 1966 small seconds collection is also comes in Palladium, a rare metal from the platinum group, with numerous qualities. This precious metal is more resistant to external damage than gold, it is very pure, does not tarnish, needs no treatment and has a brilliant whiteness. It is in perfect harmony with the elegance of the Girard-Perregaux 1966 collection, revealing beautifully the clarity of the round dial. 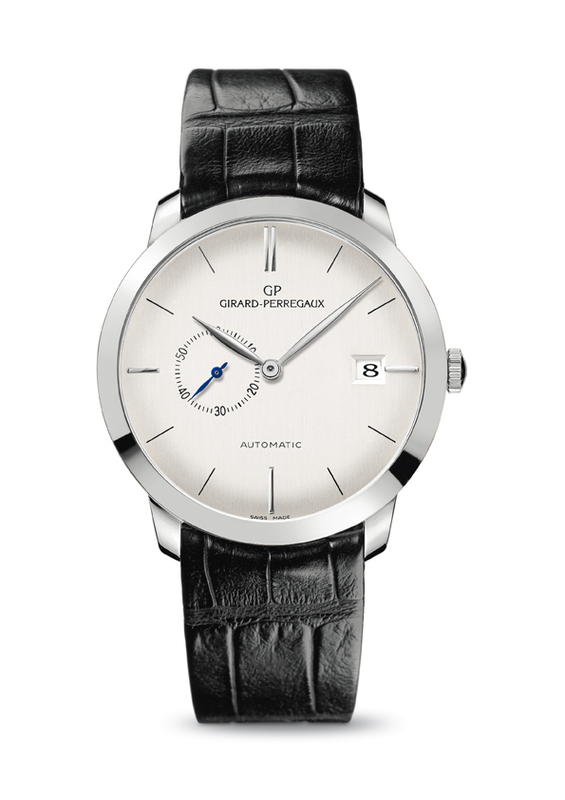 The 38-millimetre case has been carefully polished to bring out the sheer brilliance of the metal. A special finish on the bezel gives the piece an unparalleled sheen. The clean design belies the complexity involved in the production of this watch. From the movement comprising hundreds of components right up to the brilliant case, each element was given meticulous attention. The movement, like the case, is produced by the Manufacture. It integrates the date and a small second, which are displayed at 3 o’clock and 9 o’clock respectively. The sapphire case-back reveals the self-winding mechanism, which oscillates at 28,800 vibrations per hour. Based on a calibre with proven reliability – the GP3300 – its finishes are in keeping with Girard-Perregaux’s Haute Horlogerie tradition.